Brian Williams is back in the news and not in a good way. These days he's anchoring on MSNBC, but his description of the U.S. strike on Syria isn't coming across well. "Beautiful pictures at night... and they are beautiful pictures" he said. He even used the Leonard Cohen song, First We Take Manhattan, to further describe the scene, saying "I am guided by the beauty of our weapons." The strikes targeted a Syrian airbase which is reportedly the one Syrian forces used to launch a chemical weapon attack. 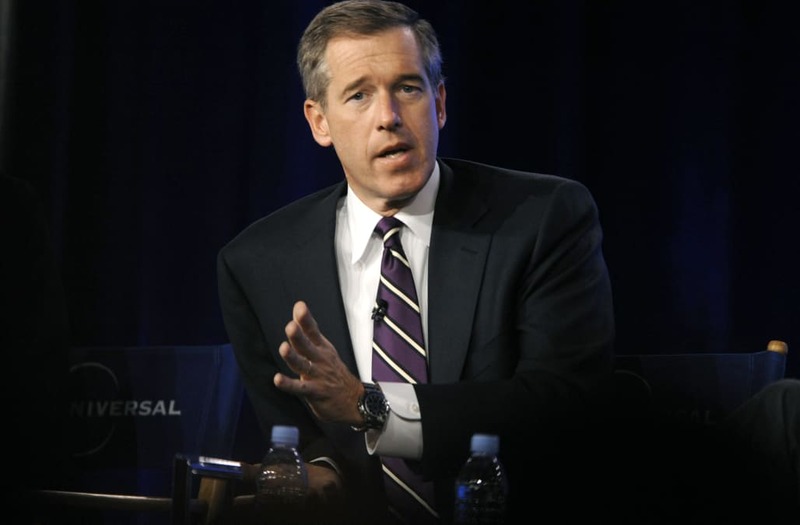 Williams lost his job as anchor of the NBC Nightly News after it turned out his reporting on some events in Iraq weren't true.